drawing | Out of the Box! 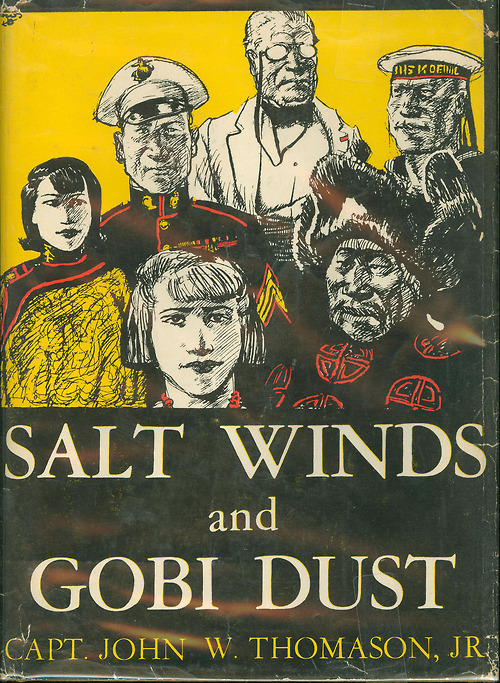 Salt Winds and Gobi Dust was a collection of short stories by Col. John W. Thomason Jr. who is the namesake of our Special Collections department. The short stories were inspired by his time spent in China and Central America. The top image is a draft of the cover artwork that would be used in the 1st edition of Salt Winds and Gobi Dust. You can compare it to the final cover below it. John W. Thomason loved to draw military officers and ducks in his free time, so I combined the two. This officer seems to notice the duck at his feet. There is an airplane up in the sky! 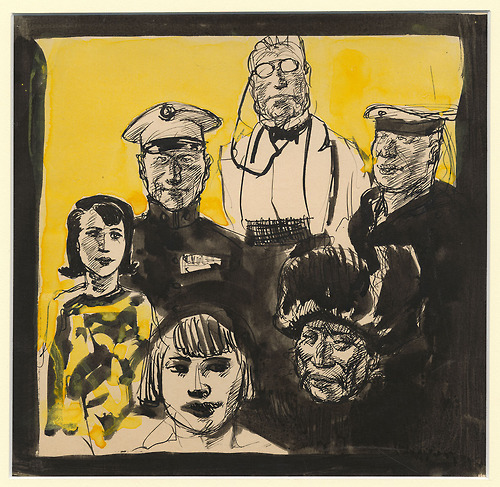 Col. John W. Thomason’s illustrations and paintings often have a military theme. Night time scenes of cannon fire and explosions in the sky are vivid and harken back to a time when Thomason was in the Marines in World War I. Note: The original painting does not have a plane, cannon fire or moving lights for that matter. I added those for a cool gif effect. If you are interested, all the John W. Thomason drawings have been digitized and can be found here.